In Oslo I have a 3% (!) affiliation with the Molecular Biology of sarcomas Group of Jørgen Wesche, where I still have several active team members. Tatiana Georgiesh is a PhD student cosupervised by Bodil Bjerkehagen. Her project is “Investigation of somatic mutations as diagnostic tool, malignancy grade determination and as prognostic factors in soft tissue sarcomas”, funded by the grant from Krafttak mot Kreft (The Cancer Society) to NoSarC. Mona Mari Lindeberg is a technician responsible for general group projects, funded by the Radium Hospital Research Foundation. 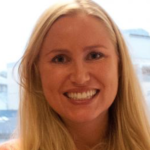 Else Munthe is a postdoc employed on the “Mesenchymal Cancer Medicine” project, a part of NoSarC, currently funded by the US Liddy Shriver Sarcoma Initiative. 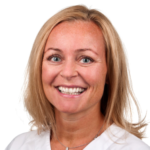 Stine Næss is a research nurse employed on the NoSarC project, finding the sarcoma patients, asking for consents, and making sure samples are collected. Her position is funded from various sources, including donations. Eva Wessel Stratford is a postdoc employed on the NoSarC subproject “Towards individualized therapy for orphan cancer”, currently funded by the US Liddy Shriver Sarcoma Initiative. Heidi Beate Bentzen on the project “Legal Regulation of Information Processing relating to Personalized Cancer Medicine”, funded by the Norwegian Research Council.